Visitors from Ukraine in the WSEZ - WSSE "INVEST-PARK". Wałbrzyska Specjalna Strefa Ekonomiczna "INVEST-PARK". 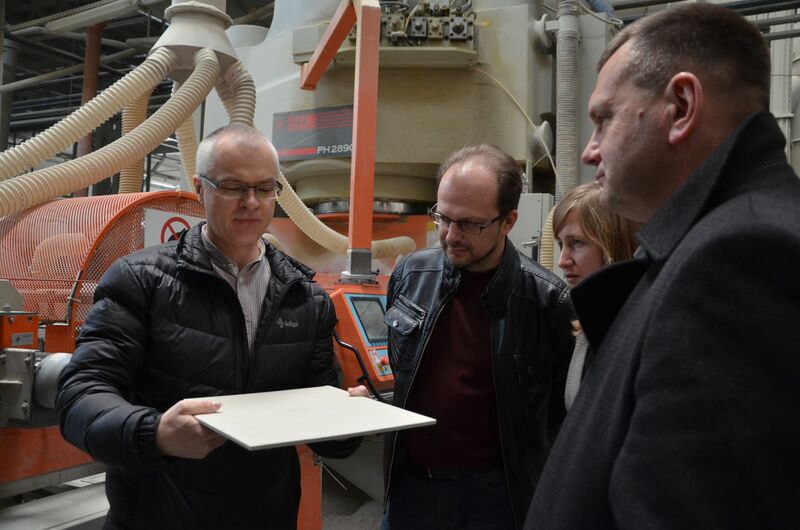 Mayors of two Ukrainian cities, Boryslav and Dymytrov, visited the Wałbrzych Special Economic Zone “INVEST-PARK” and Cersanit’s tile factory. The guests stayed in Wałbrzych from 20 to 25 April. Mayor of Boryslav Volodymir Firman and Deputy Mayor of Dymytrov Oleksandr Ponomarenko met with the representatives of “INVEST-PARK”. The Ukrainian guests learned about the functioning of companies in special economic zones and the benefits for entrepreneurs resulting from tax exemptions. 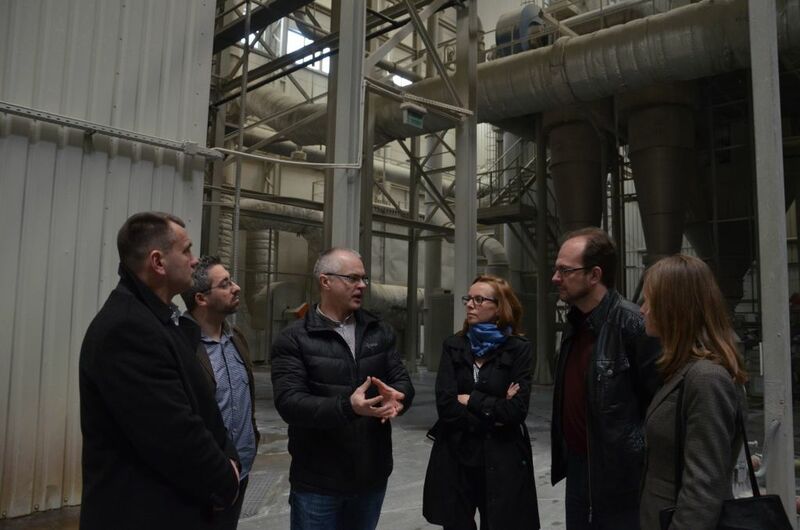 They also toured around one of the first production facilities built in the zone – the Cersanit III S.A. factory. The guests were also acquainted with the technology of making decorative tiles. The visit of the delegates was part of a project carried out by the Association of Polish Cities, whose aim is to support Ukraine in political changes and to tighten cooperation between local governments on both sides of the border. During their stay, the guests also paid a visit to the “Old Mine” Science and Art Center, the Książ Castle, the Aqua-Zdrój sports and leisure center, and other tourist attractions of the region.